What is the difference between sedation and general anesthesia? Will Dr. Tomazin be available for questions before the dental surgery? What if the patient has a medical condition? How are anesthesia services provided for anxious children or patients with disabilities? How should the patient prepare for anesthesia? How will the patient be monitored during the procedure? When will the patient be released to go home? What can the patient expect after the surgery? For most dental procedures, pain control is achieved using local anesthetics, which involves injecting a numbing medication in the mouth to block the pain at the site of the procedure. In this situation, the shot itself may be uncomfortable; it may not provide adequate pain control for patient comfort and may cause unnecessary anxiety for an otherwise calm patient. 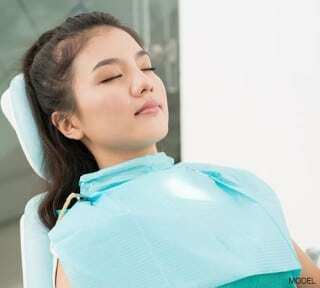 Extensive or prolonged procedures such as root canals, dental implants and bone grafts can be exhausting for the patient, and various levels of sedation may be required. This increases patient comfort and also provides a more ideal working condition for the dentist. Patient safety is the ultimate goal that Dr. Tomazin strives for with every procedure. He firmly believes that maintaining an unparalleled level of the most current and state of the art anesthetic equipment is what every patient deserves. Dr. Tomazin’s extensive training in providing anesthesia in a hospital and dental setting, as well as his advance training in CPR, ensures that each patient receives the highest level of safety and comfort before, during and after the dental procedure. Dr. Tomazin has the advance training, experience and knowledge to provide all levels of sedation and anesthesia in a safe and controlled environment. General anesthesia provides a controlled loss of consciousness, during which Dr. Tomazin closely monitors and supports the patient. Deep sedation decreases consciousness, as well as the patient’s perception of pain and anxiety, during which the patient maintains the ability to respond to commands. Absolutely! Before the date of the treatment, Dr. Tomazin will contact the patient to review the anesthesia, instructions and procedure, and answer any questions the patient may have. It is very important to Dr. Tomazin that the patient has the understanding and knowledge of what to do before and after any dental procedure where anesthesia services are involved. If necessary, Dr. Tomazin will contact the patient’s physician to review any pertinent and underlying medical conditions. Further medical tests may be deemed necessary and requested. This will allow Dr. Tomazin to adjust his anesthesia services to meet the patient’s individual health concerns. Children and persons with disabilities can benefit greatly from Dr. Tomazin’s services. Children have a natural fear of what they do not understand. Treatment modalities such as oral sedation and restraints for children can result in a frightening and dangerous experience, during which the child may still be awake, and may become agitated during the procedure. When needed, providing these patients with a controlled level of anesthesia can turn an otherwise anxious and uncontrollable child and adult into a more relaxed and comfortable patient. ► No food or drink is to be taken after midnight the night before surgery. This is very important in order to avoid regurgitation of any substances of food or material into the lungs. The result can be dangerous and life threatening. ► Loose-fitting and comfortable clothing is essential for easy attachment of medical monitoring devices. For children, no jumpers or onesies should be worn. ► A responsible adult or guardian will need to transport the patient home after the surgery, and should be available to stay with the patient that evening. Further individual and pertinent instructions will be related to the parent and/or responsible adult prior to the surgery. Dr. Tomazin provides all the anesthesia monitors, equipment and medications. Throughout the procedure, he will closely monitor the patient’s vital signs, blood pressure, heart rate and rhythm, breathing, oxygen saturation and depth of anesthesia. He will continue to monitor the patient until he/she is released to go home. About 20-30 minutes after the procedure, when Dr. Tomazin feels the patient is in a stable condition, he/she will be released to a responsible adult or guardian. It is the patient’s responsibility to make arrangements for a responsible adult to provide transportation home. No patient will be released unless a responsible driver is available to take the patient home. Patients are usually sleepy after the procedure, and will commonly rest for the remainder of the day. In some cases they may experience the following: nausea and vomiting, sore throat or nose bleeds. If necessary, Dr. Tomazin will provide treatment to help minimize these occurrences. It is very important for the patient to follow post surgery instructions such as taking over the counter and prescribed medications and the need to stay hydrated.